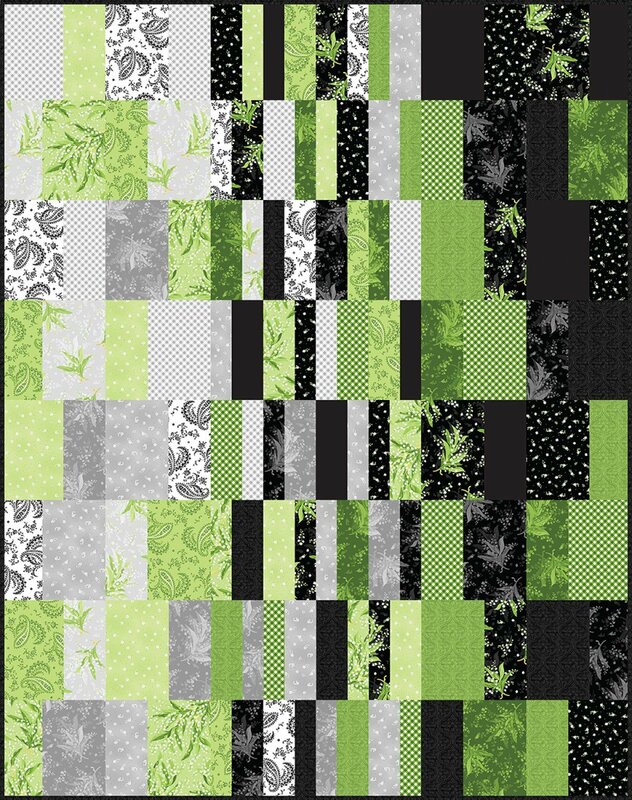 The Morning Noon and Night Quilt Kit features vibrant greens that pop with the coordinating gray and black prints. The Morning Noon and Night Quilt Kit includes the pattern and the fabric for the top and binding. The finished quilt measures 60" x 76".